There is nothing lovelier than receiving a beautifully wrapped gift! Our gift wrapping service offers you the convenience of presenting your very thoughtful gift, beautifully wrapped & ready to be gratefully received. 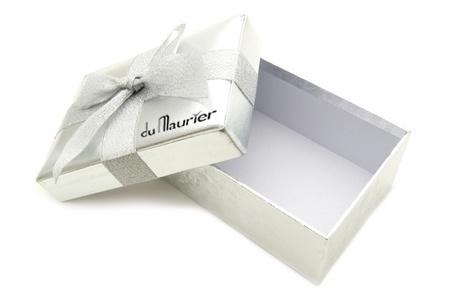 We gift wrap our watches by hand here in the Du Maurier offices, so we can be quite sure that each gift is presented at the high standard you expect. You may also be pleased to know that we do not use branded ribbon or packaging which ensures the gift is the surprise it’s intended to be. If you are buying the gift for a special occasion, such as a birthday or anniversary, please do let us know the date in the comments box at checkout & we will date your warranty card accordingly.